Brian Williamson also known as ‘Goober’ is a staunch fan of Donald Trump. 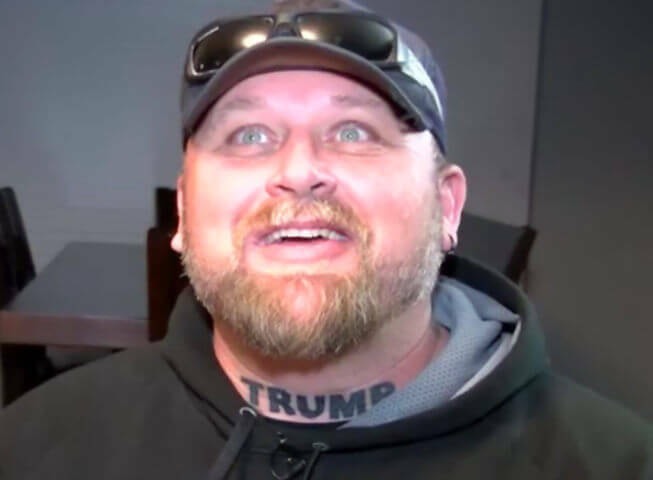 So much so that he got the word ‘Trump’ tattood on the front of his neck. Now I’ll steer clear of the political debate – Brian has already had “toe-to-toe” discussions with his neighbors in Lubbock, Texas. Just suffice to say that this kind of tattoo is just not a good idea. Whoever or whatever you ‘like’ right now may not be the same thing you like in 10 years time — or even next year. So tattooing it prominently on your neck (or anywhere else publicly visible) is going to hurt in more ways than one. It can make finding work more difficult, hurt or prevent relationships. And frankly the quality of work here is obviously minimal – it’s not exactly art is it? This is exactly the kind of tattoo that people rapidly come to regret and then want to remove later. We see this all the time. Fortunately there are lots of laser tattoo removal services in Texas. 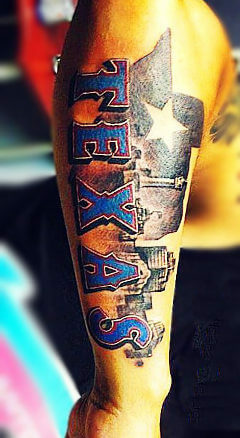 There are also a lot of extremely talented tattoo artists in Texas too. So if you are going to get a tattoo, why not make contact with one of those and work with them to produce something truly artistic and worthwhile. What do you think? Bad tattoo or worthwhile show of political support? © epdb.org. All rights reserved.